The extinguishing effect of inert gases is achieved by displacing the oxygen in the air. Assets are protected by the slow response that is typical of inert gases. In this case, nitrogen is not poisonous and is particularly well-suited for protecting highly frequented areas, while argon and carbon dioxide, which is heavier than the surrounding air, pervades the ground-level flood area quickly and thoroughly. The extinguishing gas Novec™ 1230 works through chemical/physical intervention in the combustion process. It is electrically non-conductive and is often used to protect IT assets. The extinguishing gases CO2, nitrogen and argon are referred to as inert gases. They are colourless, non-conductive and do not leave residues. They are slow to react and do not usually result in any chemical interactions with the fire or other materials. These pure gases, which are available in our natural environment and are recommended for use in extinguishing systems, are derived largely from the air we breathe and if released do not adversely affect the environment. For procurement they have the advantage being vendor neutral and are readily available worldwide. Through project-specific inert gas extinguishing system design, we ensure efficient and safe fire fighting whilst considering the necessary safety precautions and personal protection. The extinguishing gas Novec™ 1230 is a colourless, almost odourless liquid with molecules that contain carbon, fluorine and oxygen; it only becomes a gas when exposed at the discharge nozzle. From a chemical perspective it is fluorinated ketone. Unlike the earlier commonly used halons it disintegrates within 5 days if it is exposed to natural UV radiation. The extinguishing effect is due to homogeneous inhibition. This is brought about by the formation of radicals (decay in the flame) and recombination of a chain termination reaction, which makes further combustion impossible. The molecule does not have electrical conductivity, and it evaporates within minutes. Although Liquid Novec™ 1230 would indeed penetrate equipment and books, it evaporates in no time and does not damaged the wetted parts. 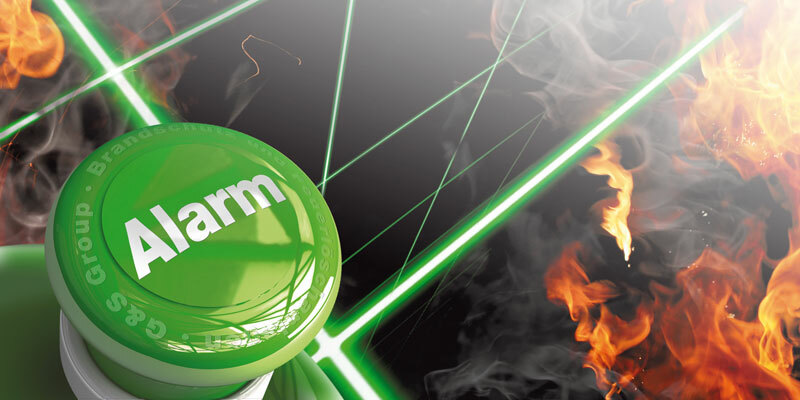 In the case of gas fire extinguishing systems, the extinguishing process is triggered automatically by the latest fire detection and control systems, but can also be initiated manually. To protect people, the extinguishing process only starts after a warning (clearance time). At the same time any available fans and air conditioners can be automatically turned off and vents and doors closed to prevent the ingress of oxygen and the escape of the extinguishing gas.